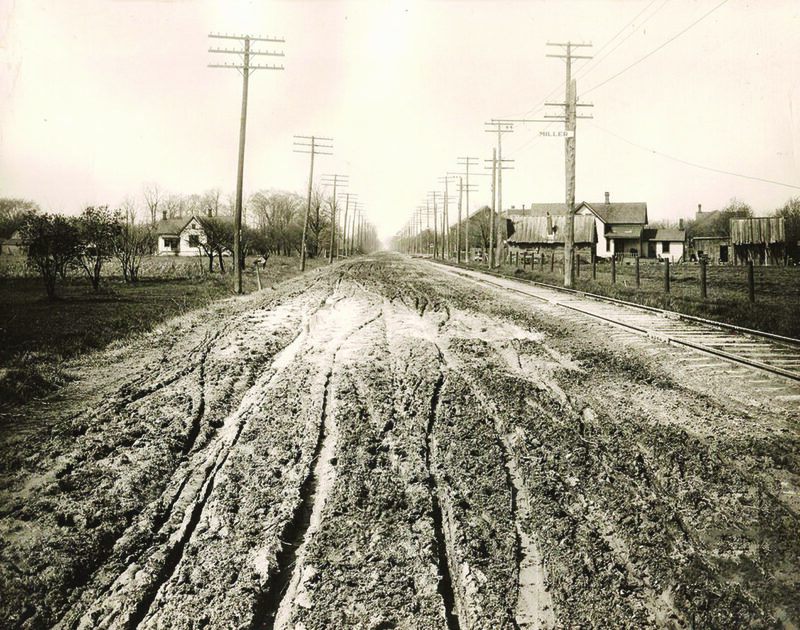 DEARBORN — One day in the summer of 1915, Henry Ford and his top lieutenants gathered at a spot near Miller Road and the Rouge River to survey the flat farmland and talk about the future. Ford, whose huge Highland Park plant was producing his world-changing Model T automobile on a revolutionary assembly line by workers earning the remarkable wage of $5 a day, had a hunch that someday he would need a new manufacturing center, with water access. So he decided to dispatch a team of real-estate agents to buy up land along the Rouge, which was then little more than a shallow stream. Ford was born in 1863 on a farm near Greenfield and Ford Roads, but he had spent most of the previous three decades in nearby Detroit and the dense enclave of Highland Park, as Detroit was exploding into the fourth most populous city in the nation. Dearborn might have taken great pride in the plant. But the plant at that time was not located in Dearborn. Ninety years ago, the Rouge plant was located in the city of Fordson, which just a few years earlier had been known as Springwells Township. The old town of Dearborn sat about three miles west of Fordson, whose western limits were Greenfield Road. 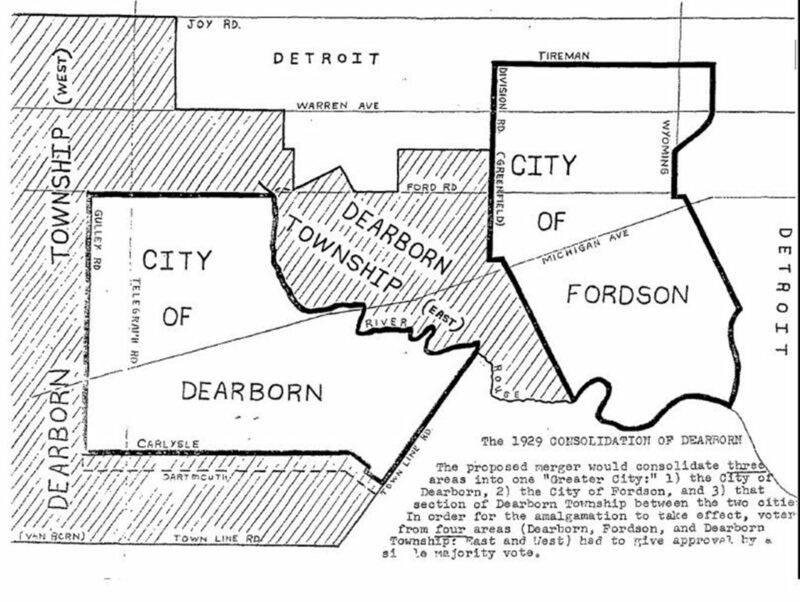 The land between Fordson and Dearborn was known as Dearborn Township. But that arrangement would not last long once the Rouge was running at full tilt. Starting in the late 1920’s, Henry Ford spearheaded a campaign to merge the three communities into the modern city of Dearborn. It’s not one of Ford’s better-known accomplishments and Ford tried to downplay his involvement, possibly because the politics of a merger were complicated and bound to be messy; and the leadership of Ford — by then one of the wealthiest and best-known people in the world — would have both advantages and disadvantages. The Rouge plant jolted once-sleepy Fordson and Dearborn into the 20th century. 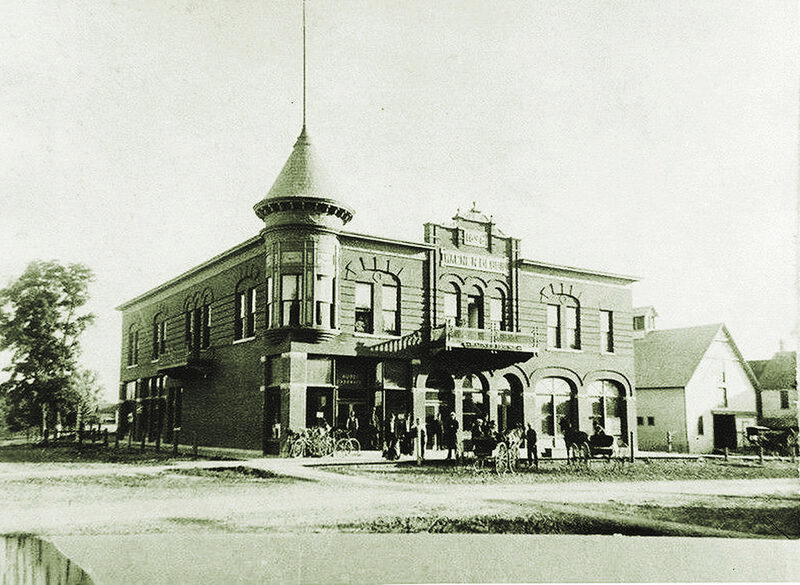 Seemingly overnight, towns once characterized by farms and small businesses were bursting with well-paying industrial jobs, thousands of homes, more sophisticated commercial establishments and such urban infrastructure as sewers, paved roads and transit. By the mid-1920s, Fordson had become an industrial center and had grown to 26,000 residents, and housing was in short supply. 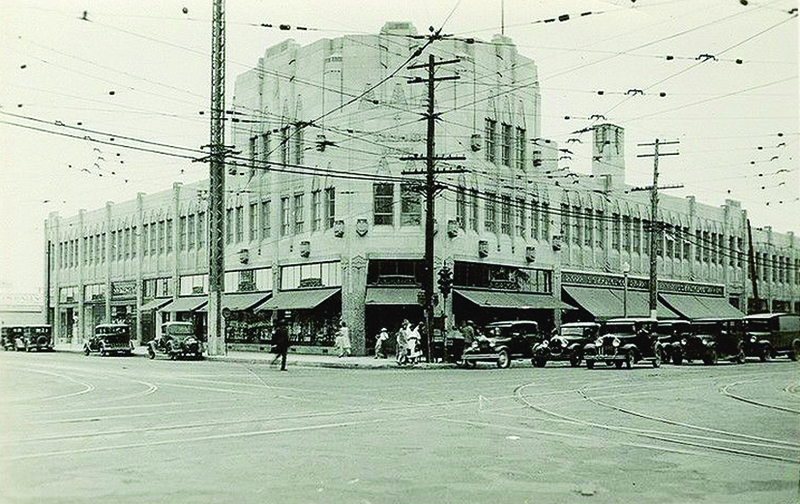 Dearborn was more residential than Fordson and less financially secure in 1927. Henry Ford had built the Ford homes south of Military and Michigan for the workers at his nearby tractor plant and the area around Michigan and Monroe was an active business district. But development in Dearborn lagged behind that of Fordson and its tax base was puny. Dearborn’s population was 9,000. Dearborn Township, in which Ford’s Fair Lane residence was located, had only 500 residents, mostly on farms. A committee of leading citizens was formed. Clarence L. Parker, the committee chairman, told the Detroit Free Press that politics had nothing to do with the idea, but that officials envisioned the efficiencies to be gained in joining together and how the combined tax base could finance improvements in all three areas. 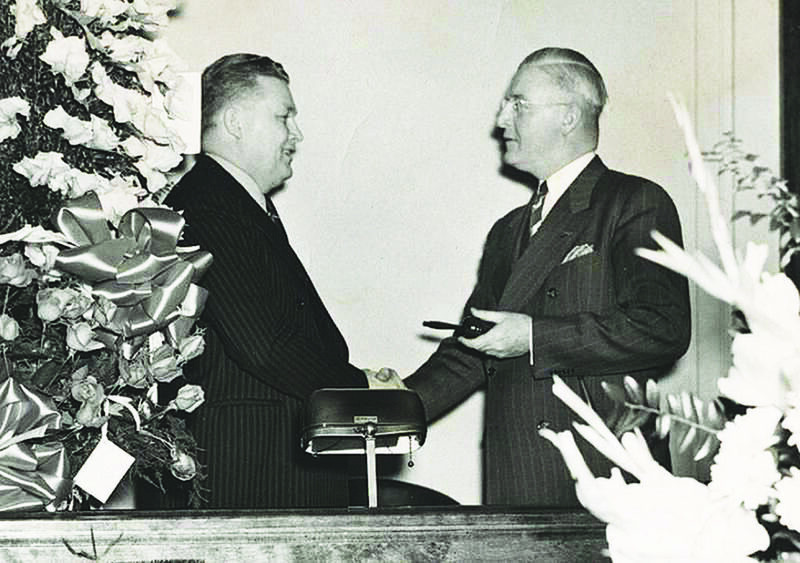 Years later, the mayor of Fordson, Joseph Karmann, said Ford had initially approached him with the idea of the merger. 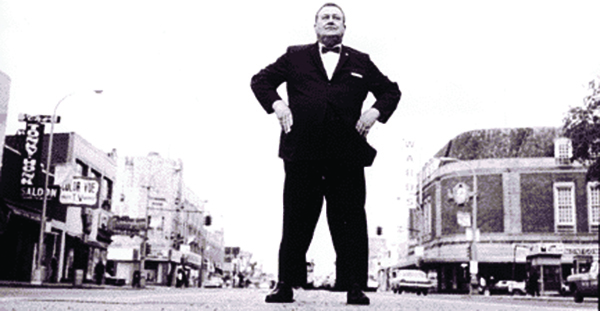 If the merger succeeded, Ford offered to build a new police headquarters, fire department, hospital and office space, according to a 1979 article in the “Dearborn Historian” by Ralph G. Fader. Much of the reason for that was Ford himself, who had become a global folk hero because of his industrial innovations and quirky personality. And the local officials did not turn down Henry Ford; they snapped to attention, jumping on the consolidation plan. 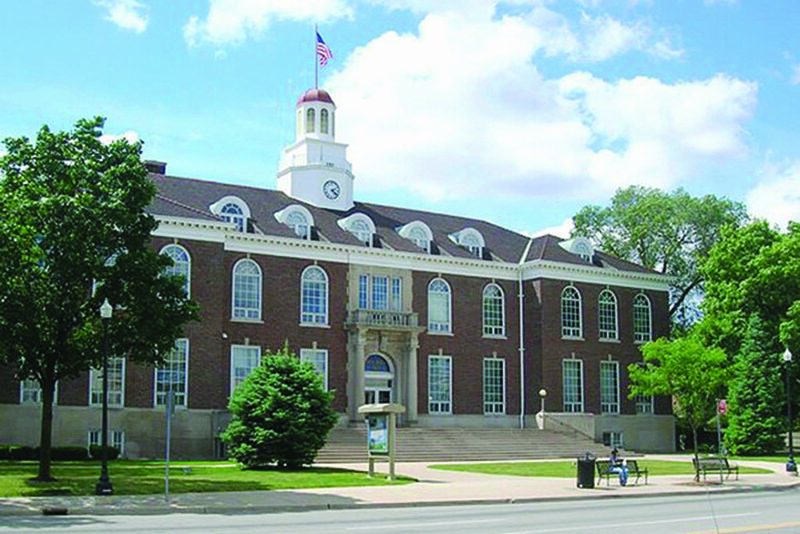 A number of business leaders from Fordson opposed the plan, knowing their city services far surpassed those of Dearborn. Fordson’s taxes were also lower than Dearborn’s, thanks to Ford Motor, which paid 75 percent of the city’s tax burden. And assessments were much higher in Fordson. 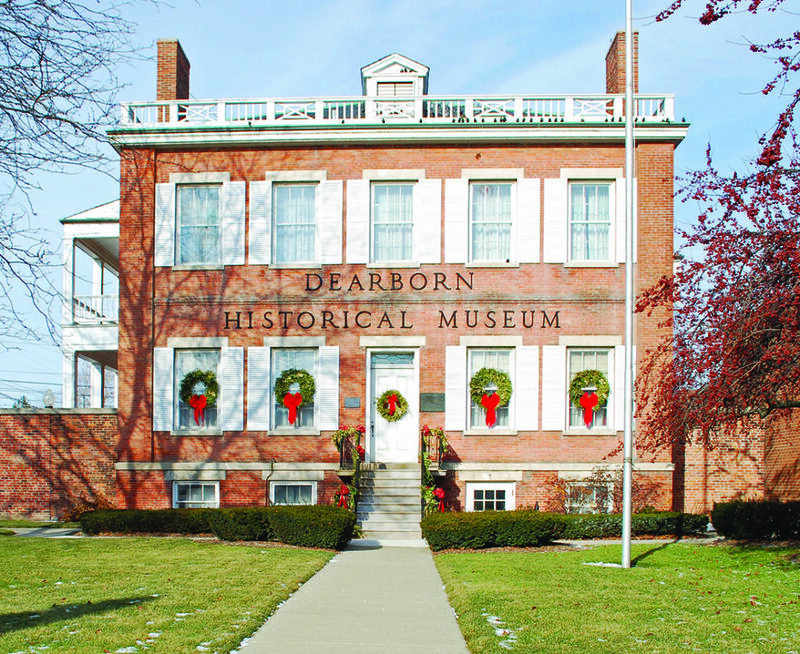 Opponents in the Save Dearborn Association worried that Dearborn’s identity — forged over the previous century of settlement — would be lost in a merger. In 1928, at a public meeting before the vote, tempers flared. 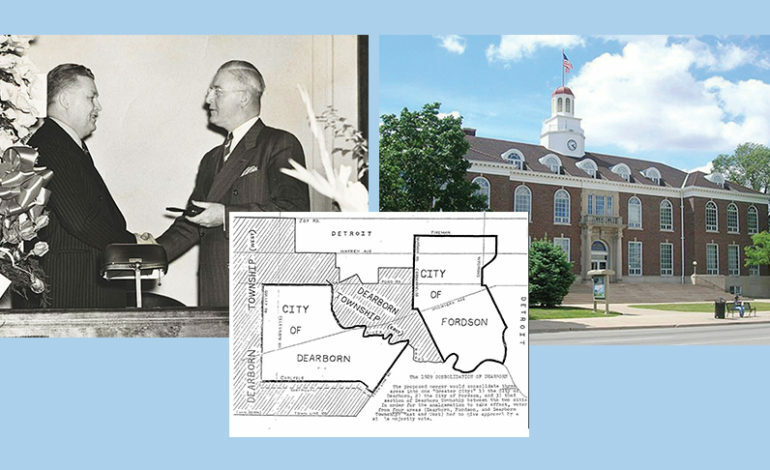 Some speakers accused Ford Motor officials, who lived in Dearborn, of supporting consolidation as a way to tap into Fordson’s tax base in order to improve Dearborn. Henry Ford released a letter late in the campaign that received wide publicity. Voting took place on a sunny late spring day, but turnout was light. Consolidation passed easily in Dearborn and Dearborn Township, but just squeaked by in Fordson, where, out of 2,861 votes cast, the consolidation forces prevailed by just 85 votes. With the three communities destined to be united in early 1929, the next order of business was to come up with a name for the new city. Some suggestions were Dearson, Fordborn and LincolnFord. In the end, voters overwhelmingly ratified a decision by charter commissioners to go with Dearborn, largely for historical reasons. 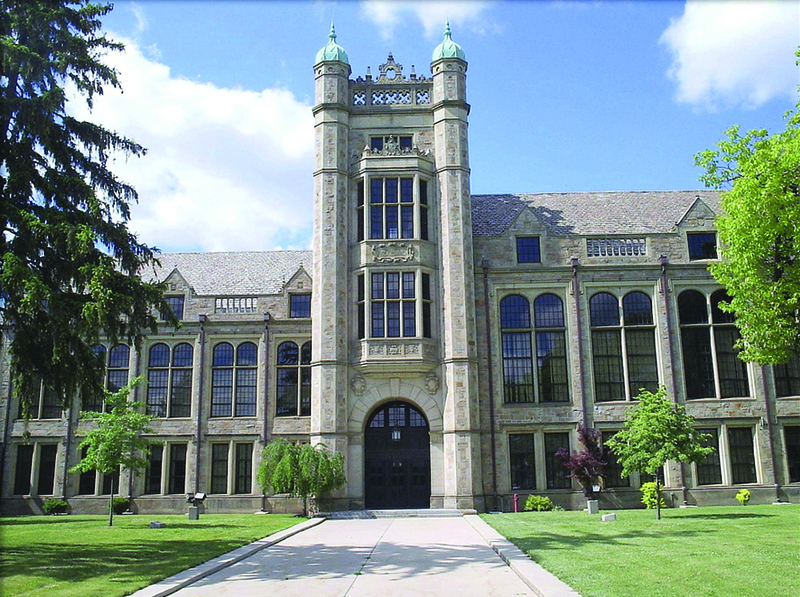 There was little emotional attachment to Fordson, whose 1925 name change from Springwells was done to honor Henry Ford and son Edsel for what they had done for the community. Heather B. Barrow, in her book about Ford’s impact on the growth of suburbia in the United States, “Henry Ford’s Plan for the American Suburb”, writes that Ford wanted to transform Dearborn into a model community for working people who could enjoy the best of both city and suburban lifestyles. “Henry Ford’s ultimate goal was to turn it into a suburb for the masses, one fitting for American wage earners and capable of turning workers from any background into good citizens,” she writes. Consolidation was hardly the last thing Henry Ford did for his hometown. Several months after Dearborn, Fordson and Dearborn Township united, Ford, joined by Thomas Edison and President Herbert Hoover, dedicated Greenfield Village and the Henry Ford Museum — now known collectively as The Henry Ford — the largest indoor-outdoor museum complex in the United States. 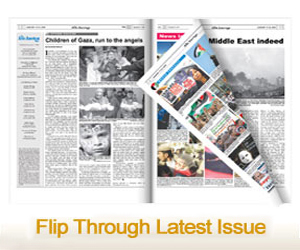 There was no doubt about its location: Dearborn, Michigan, U.S.A.
-Bill McGraw, a 37-year veteran journalist and member of the Journalism Hall of Fame, wrote this article special to The Arab American News.